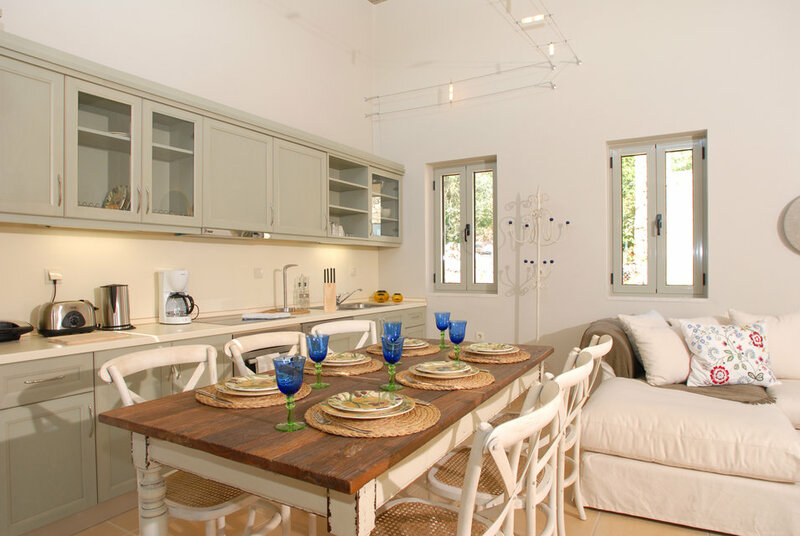 This attractive two or three-storey house makes a perfect holiday base for up to 6 people. 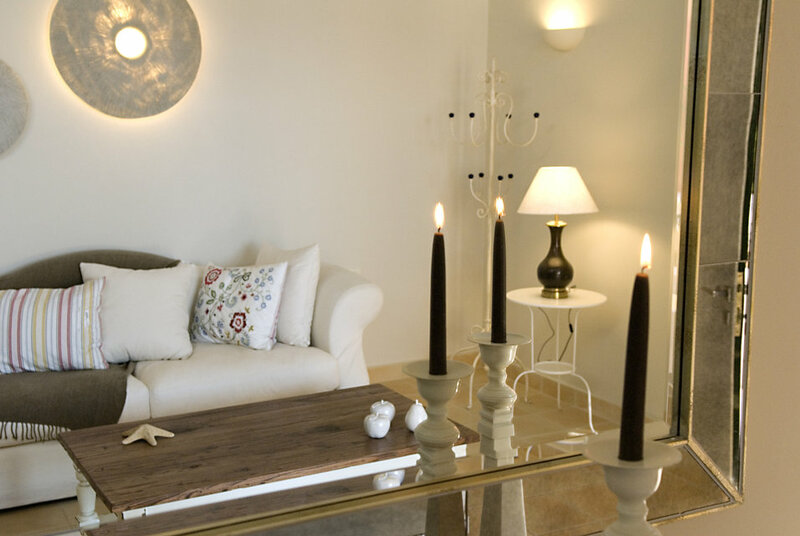 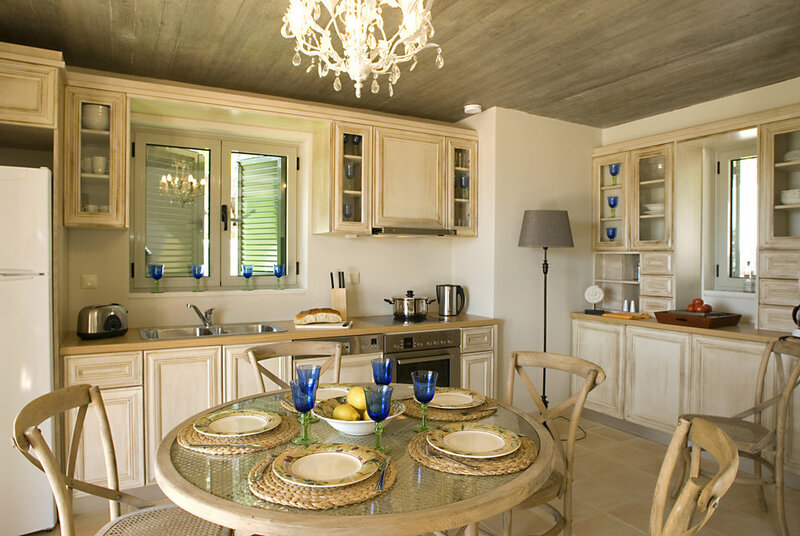 Privacy, comfort and relaxation are assured through each villa’s stylish, light interiors and bountiful outside space. 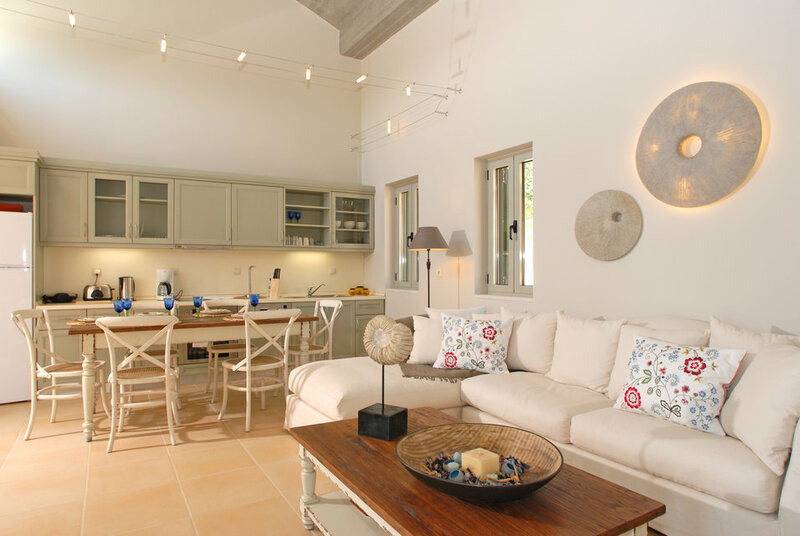 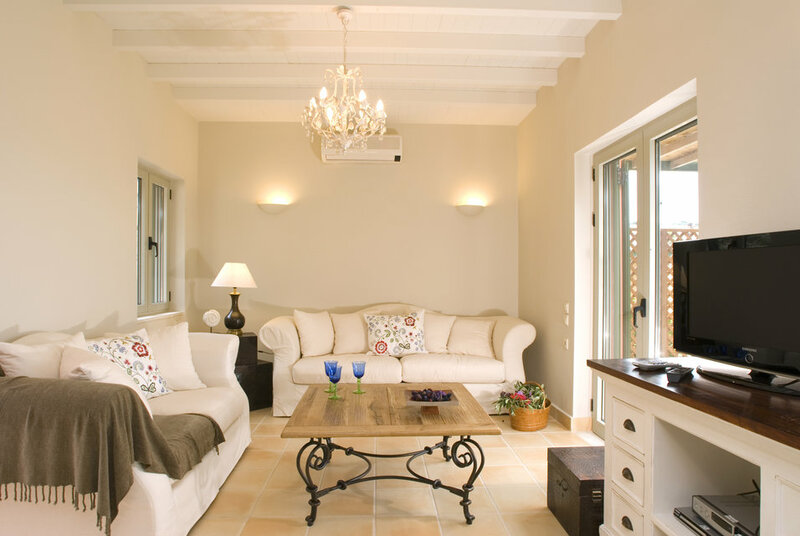 Entering the villa, you find yourself in the inviting living area, with French doors leading to a large terrace. 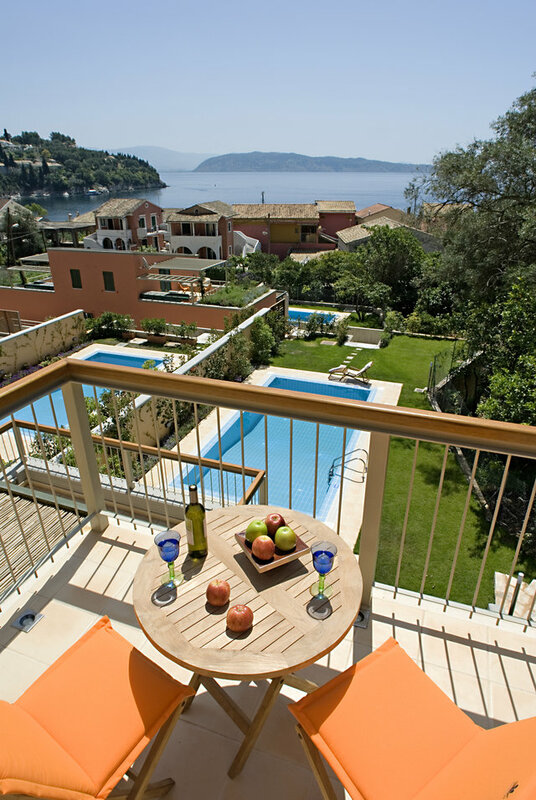 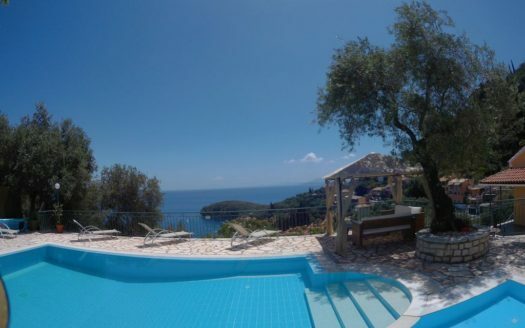 Here you will discover views over the rooftops of Kalami to the beautiful Ionian Sea. 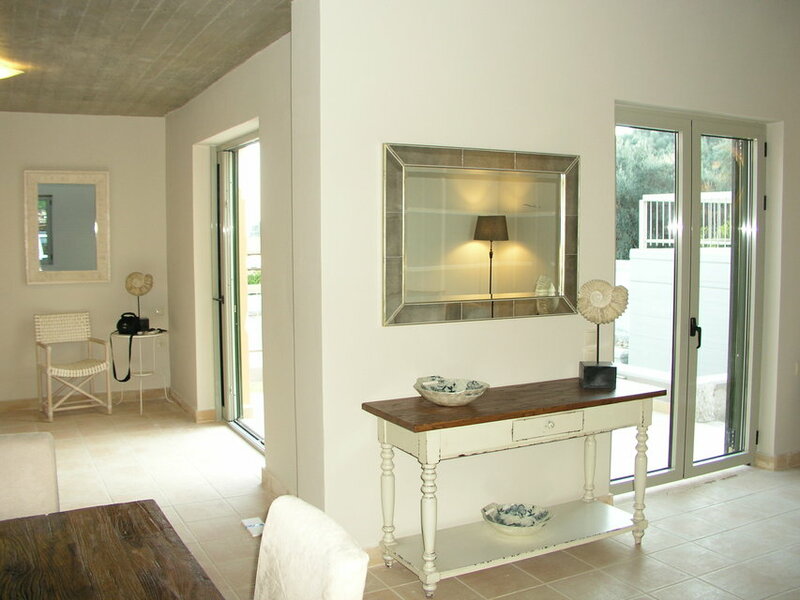 Also on this floor are a dining area and fully equipped fitted kitchen. 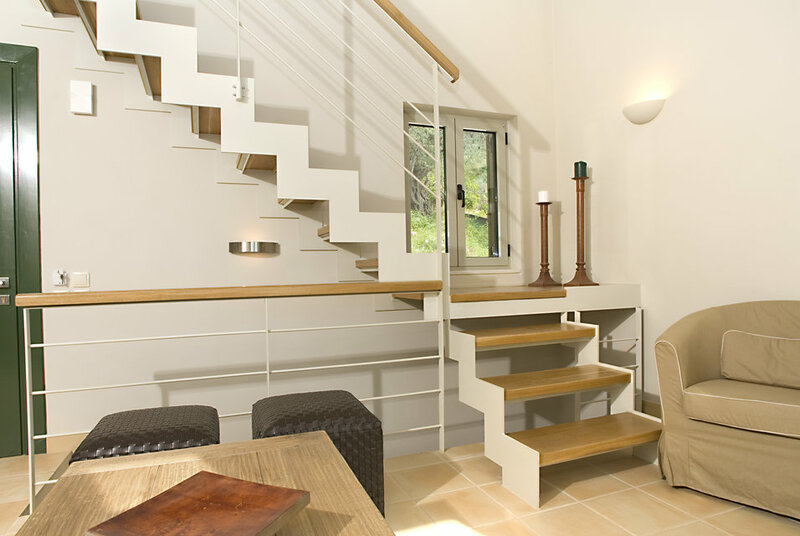 An internal staircase links all the levels of the house, and leads to two bedrooms on the ground floor. 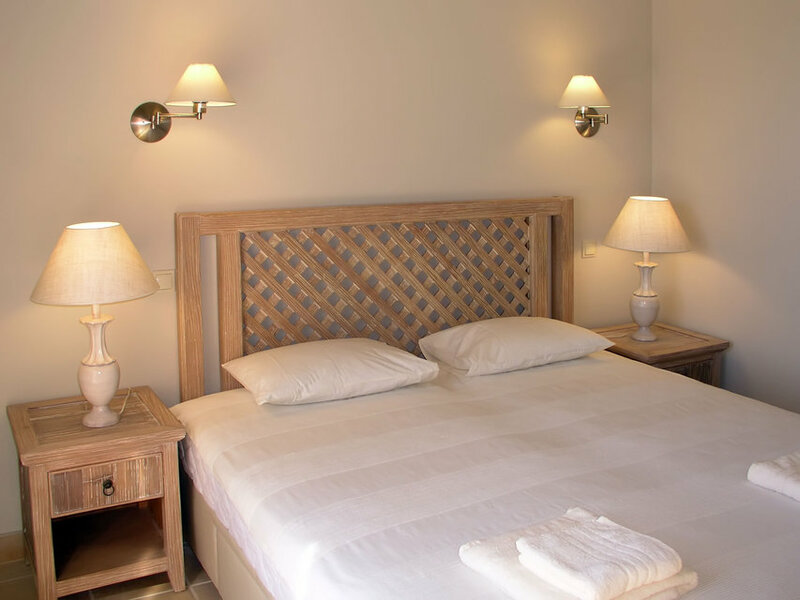 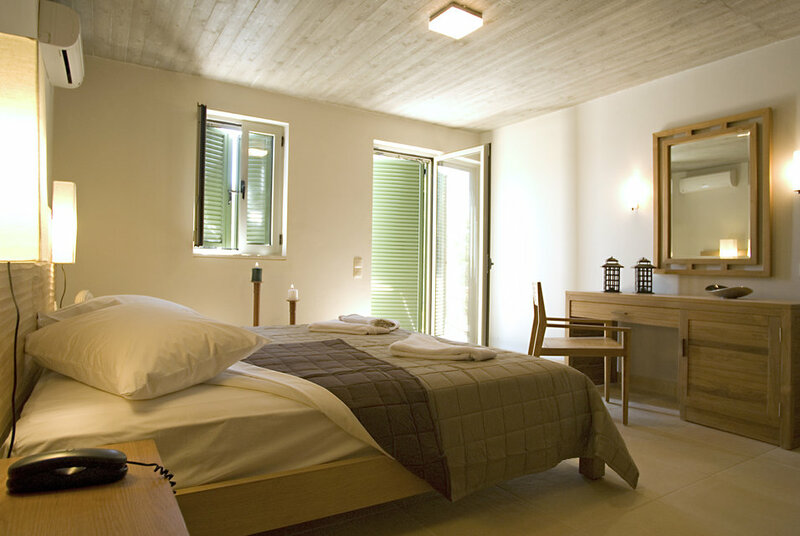 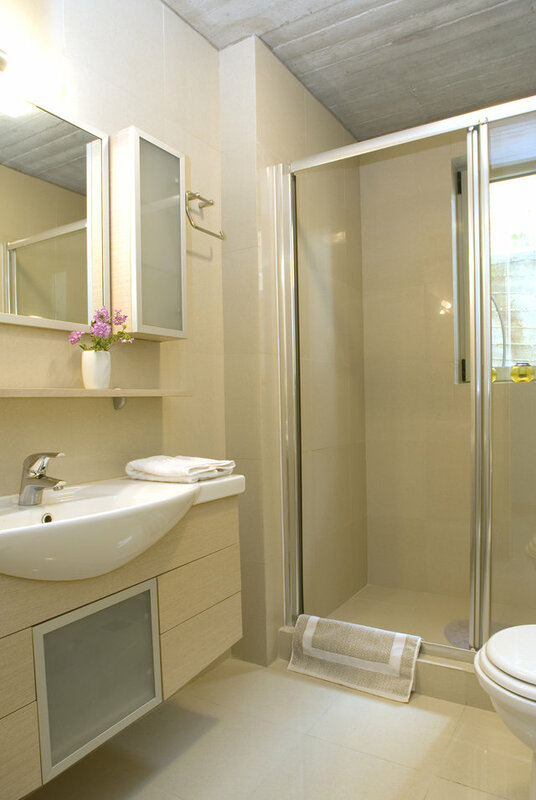 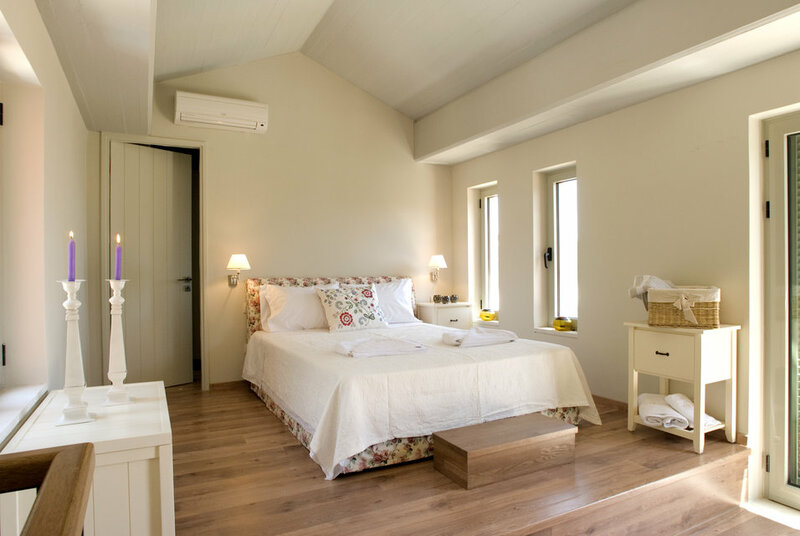 Each bedroom has an en-suite bathroom and is elegantly furnished, with either a double or twin beds. 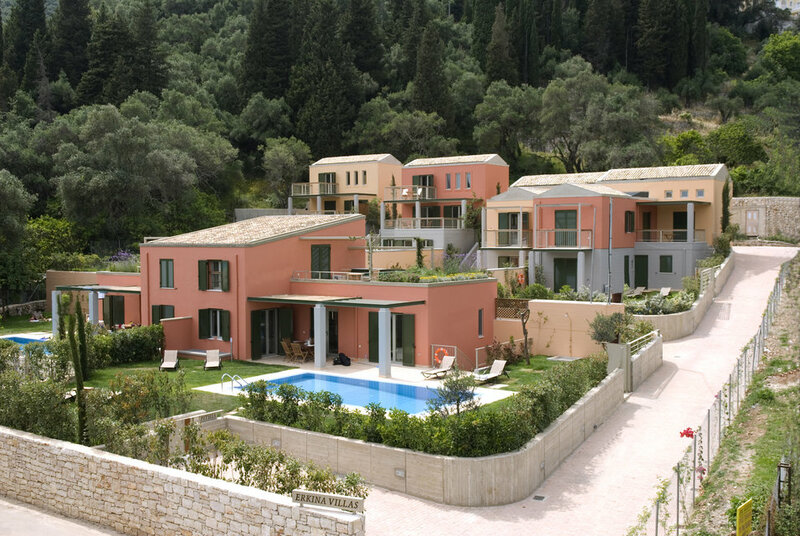 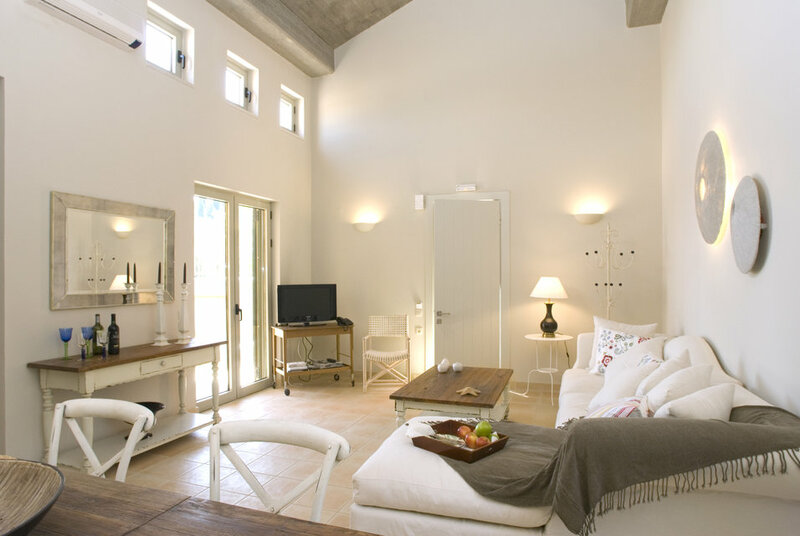 The tranquillity of the villa’s private garden and swimming pool are reached through the bedrooms’ French doors. 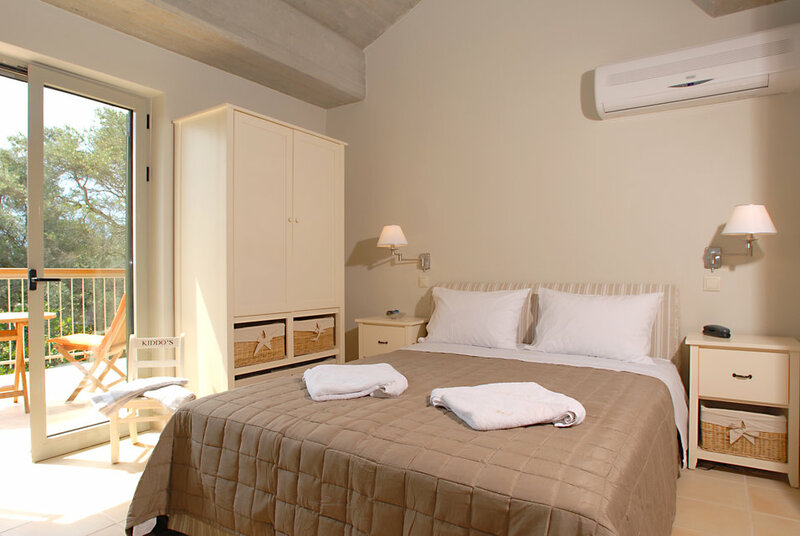 A guest room is located in the attic, with en suite bathroom and a private terrace with stunning sea views. 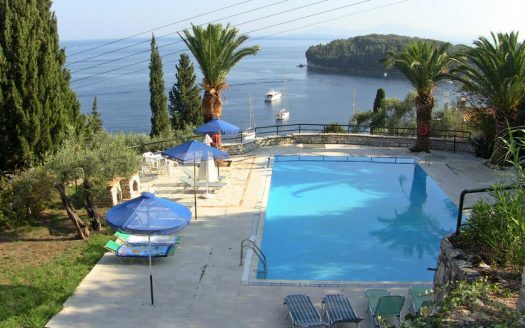 Open on to large terrace to the front with beautiful views over the rooftops of Kalami to the beautiful Ionian Sea . 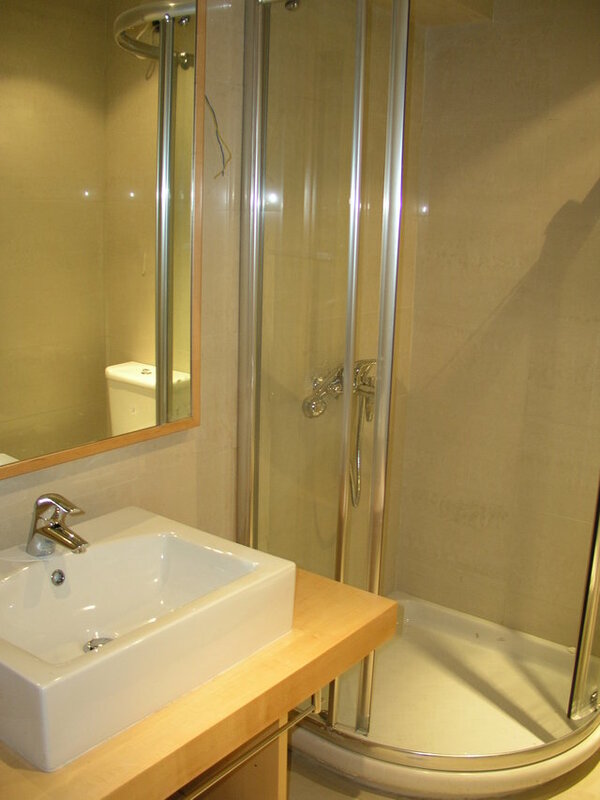 – Master double bedroom with en suite bathroom and wc opens to courtyard and pool. 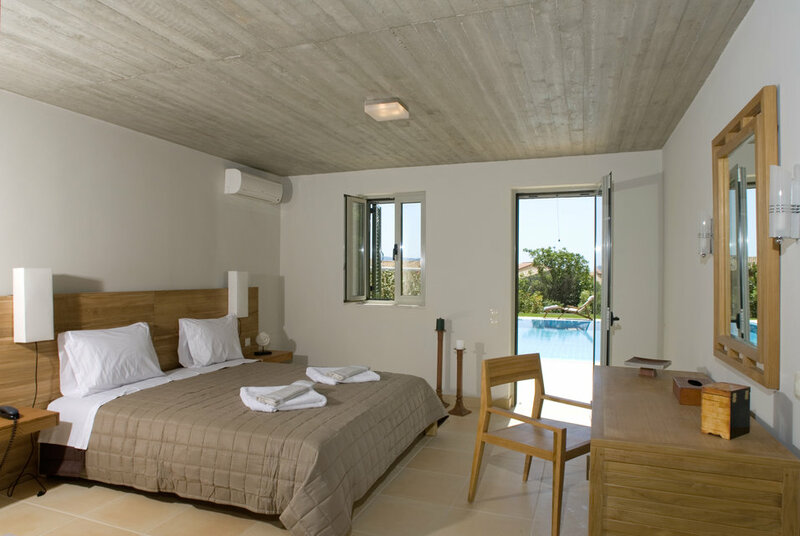 – Twin bedroom ( can be made up as a double ) with en suite bathroom and wc opens to courtyard and pool. 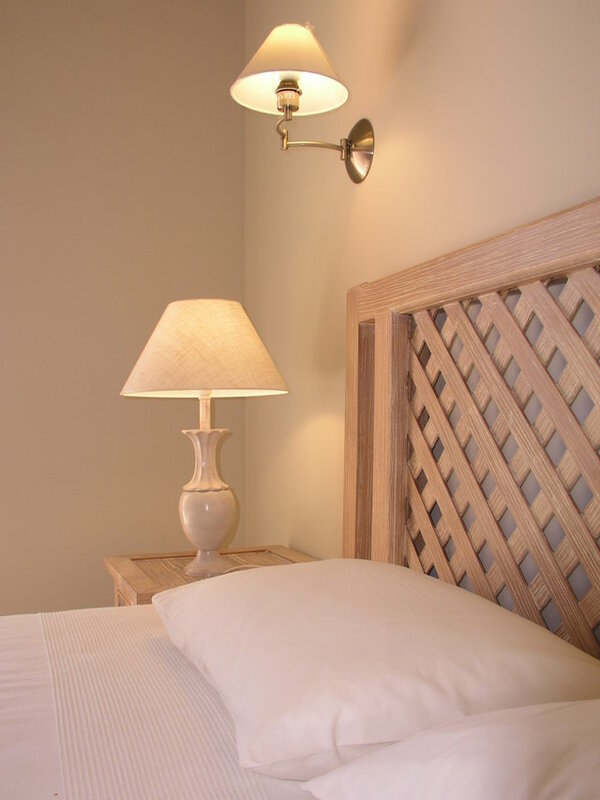 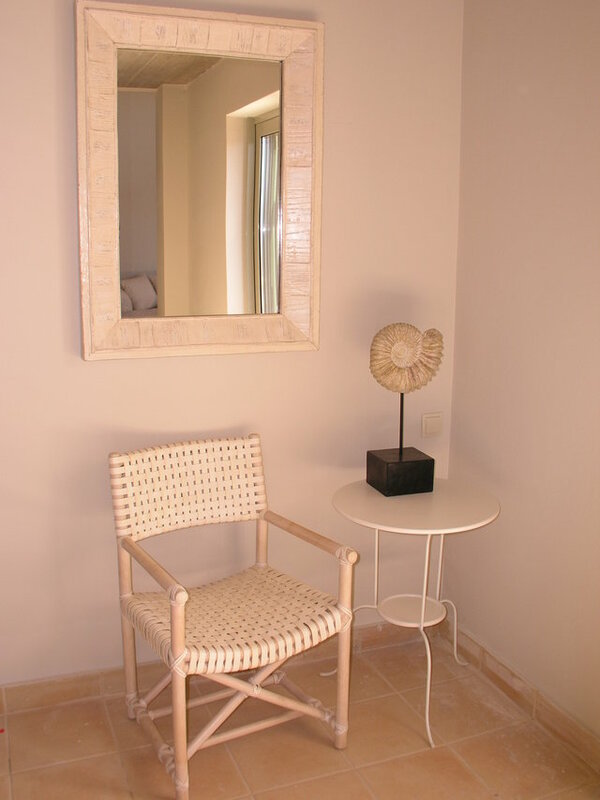 Guest twin room with en suite bathroom and a private terrace with stunning sea views.